Jazz superstars Brian Culbertson, Will Downing, and Peabo Bryson will headline the 2016 Greater Charleston Lowcountry Jazz Festival on Labor Day Weekend (Friday, September 2 – Sunday, September 4). Early-bird discounted weekend packages and tickets go on sale Friday, December 19 at 10:00 AM.Those buying early-bird weekend packages and tickets will save 10%. The early bird offer is valid through February 28th 2016. The Greater Charleston Lowcountry Jazz Festival, now in its eighth year, draws thousands of jazz fans to the Lowcountry each year. The festival benefits the Closing the Gap in Health Care, Inc. an organization whose mission is to decrease health disparities among the underserved. Other artists for this year’s festival include Nick Colionne, Avery Sunshine, Jazz Funk Soul featuring: Jeff Lorber, Everett Harp, and Chuck Loeb, Jackiem Joyner, Selena Albright, Charlton Singleton, and Darrell Ravenell. Additional artists will be announced as they are confirmed. 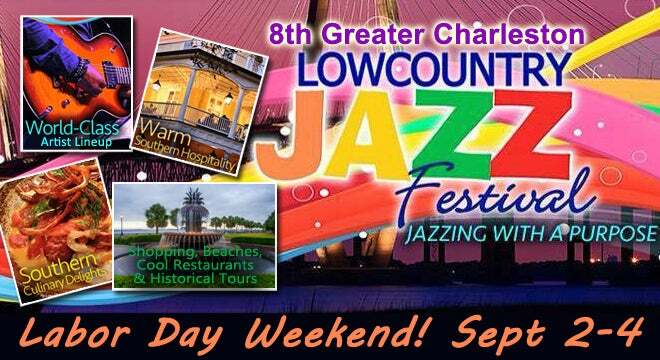 For more information on the Greater Charleston Lowcountry Jazz Festival, visit the official website at www.lowcountryjazzfest.com.